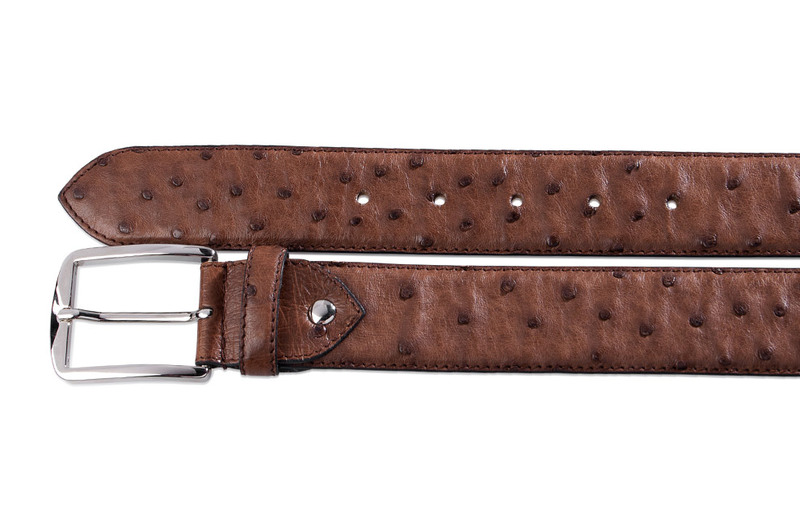 This astonishing ostrich belt in brown is crafted from two leather layers. The outside is made from the hide of the world’s tallest flightless bird and shows off the distinctive pattern left by its quills. 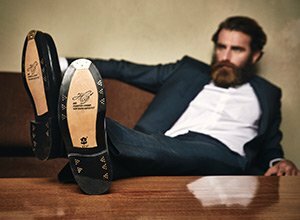 The inside boasts vegetable tanned French calf leather, which is pleasant to the skin. Both leather layers are crafted from one leather piece each and tightly stitched together with a colour-coordinated seam. 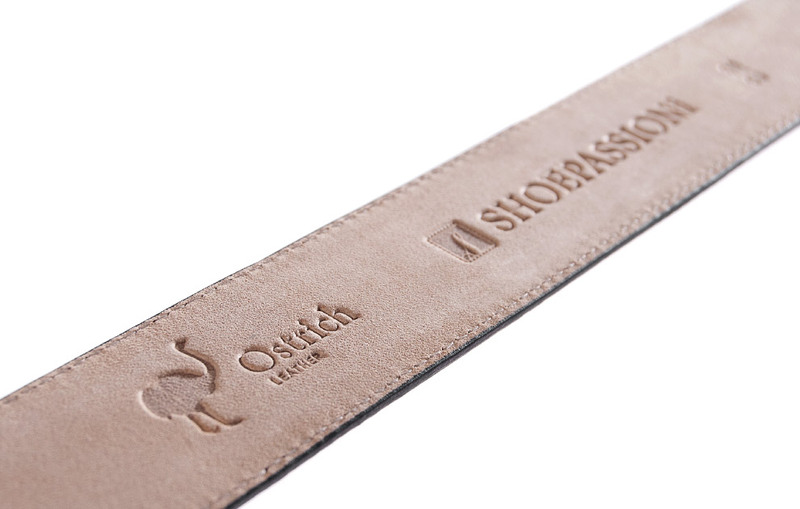 This ostrich belt matches perfectly our ostrich men’s shoe, crafted exactly from the same leather. 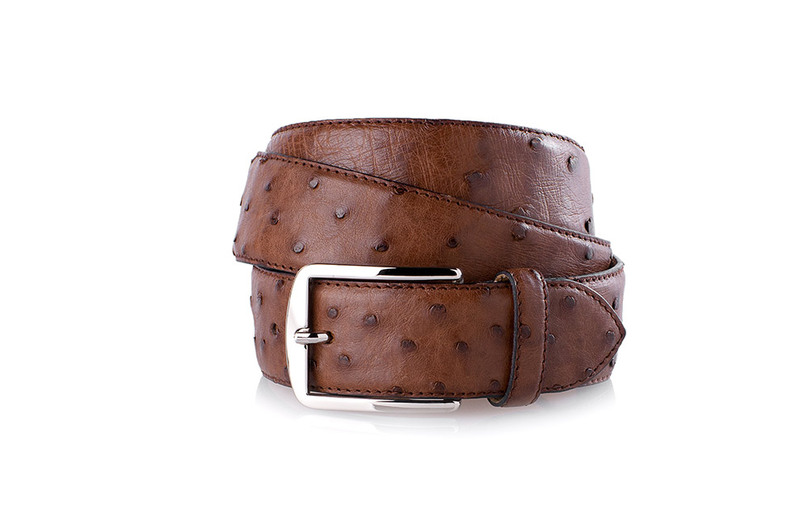 A nickel-free zamak buckle closes our brown ostrich belt, meaning it is also comfortable for allergy sufferers, too. With a length of 50 mm and a width of 44 mm, and fastened to the leather by a filigree screw, it allows the wearer to shorten the belt length easily and conveniently. 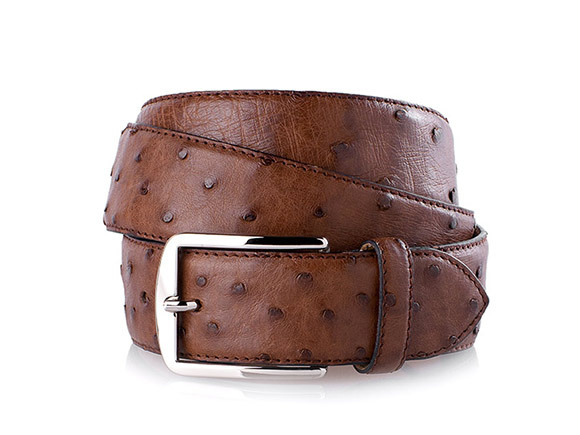 Our brown ostrich leather belt is available in five different lengths. 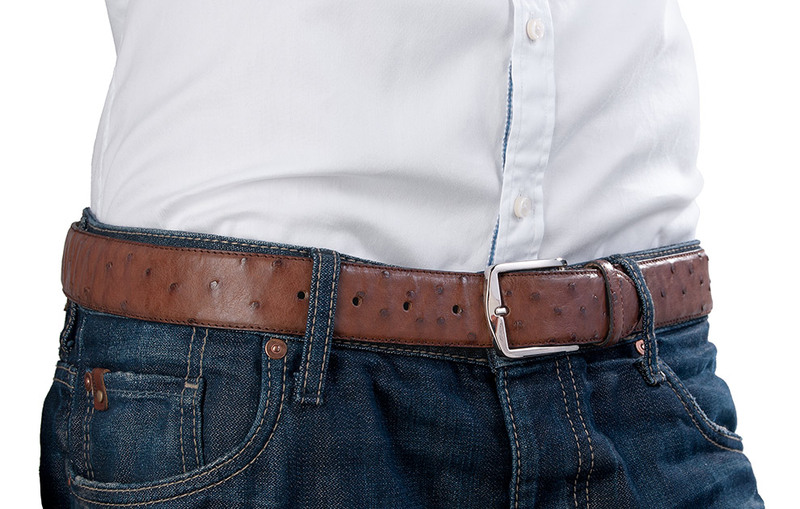 To determine the right belt size for you, it is first necessary to find the closure length that matches your waist size. Both should be exactly the same. The term “closure length” means the distance between the buckle’s outside edge to the middle belt-hole – and that is the meaning of the belt sizes listed below. 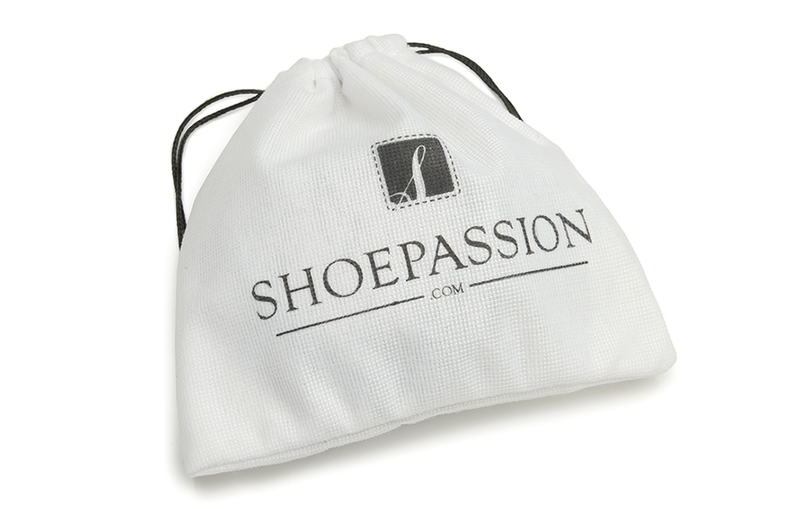 Our ostrich belt in brown is sent in an elegantly white cloth bag with the elegant SHOEPASSION.com logo, protected from soiling and scratching.